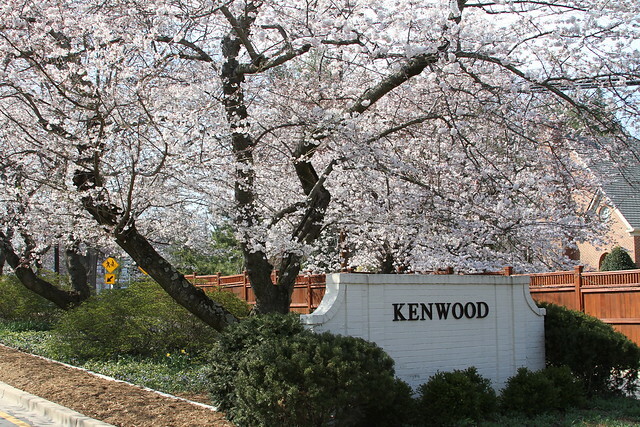 There are a handful of great places to seek out Washington’s cherry blossoms but my favorite by far is Kenwood. 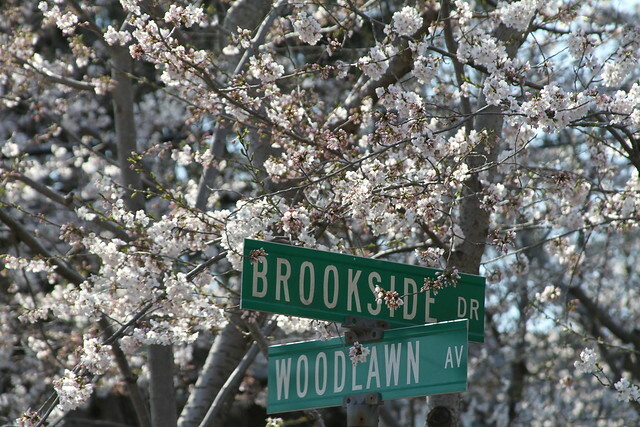 The neighborhood, just around the corner from downtown Bethesda, is the insider’s paradise for a stroll through the flowers. I’d reckon that a visit on a spring day like the one I took this week could fill any hardened urbanite with suburban dreams. 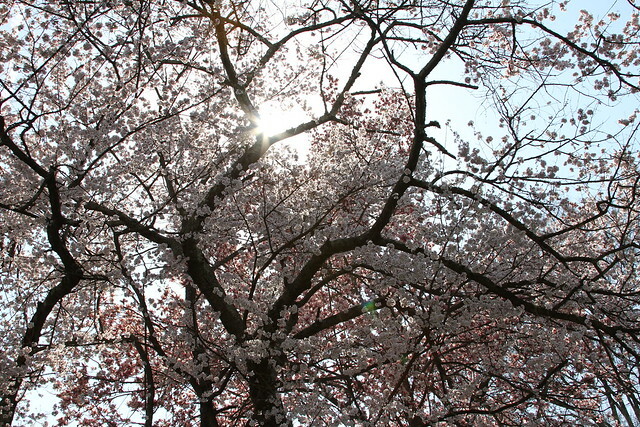 Every year, a few days after their more famous siblings at the Tidal Basin start to show off, Kenwood’s cherry blossoms explode into life. 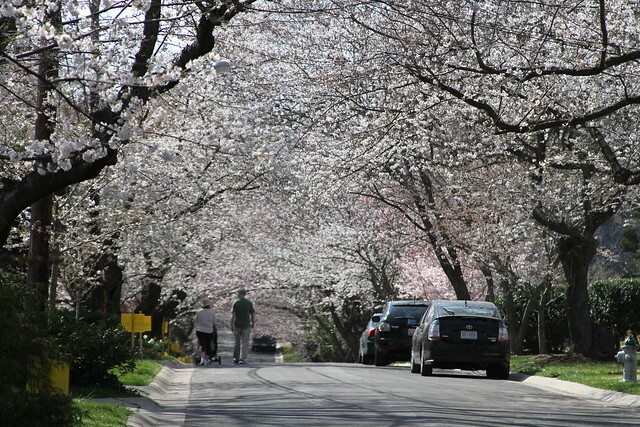 With only three hundred some odd homes the densely packed twelve hundred Yoshino cherry trees blanket the neighborhood in stunning fashion. 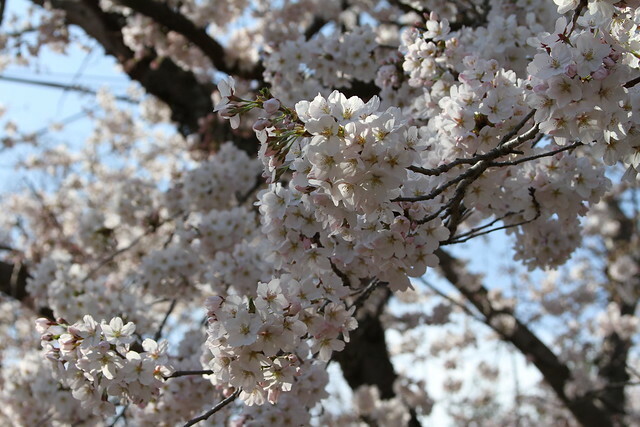 Weekend days during peak bloom can generate a crowd, but it’s nothing compared to the tidal basin’s overwhelming swell, and this is one of the best reasons to go to Kenwood. I think the place is also aesthetically more spectacular. 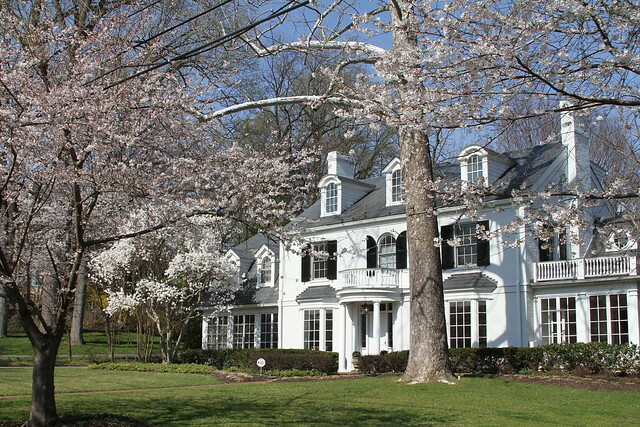 The cherry trees in Kenwood are inescapable and encompassing, lining nearly every street and dotting nearly every front yard. 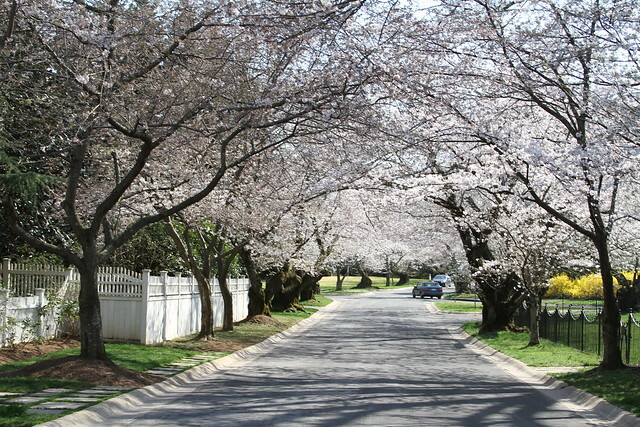 They blanket the place in color, and in the neighborhood’s most magical spots the branches on each side of the road meet above your head forming tunnels of pink and white. I used to visit almost every year with my family and friends and it was great getting the chance to go back. 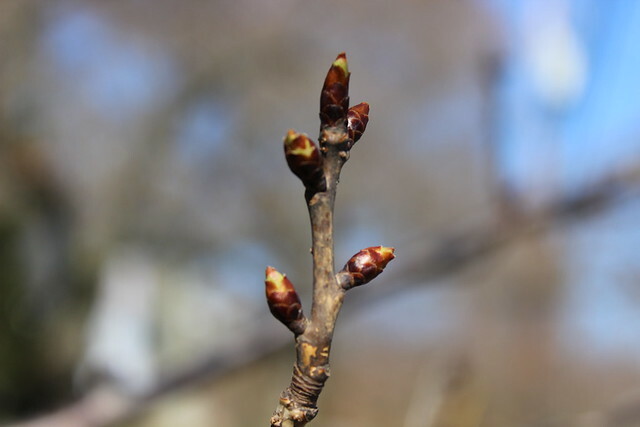 I swung by twice this year, once when the blossoms were initially predicted to be in bloom, and again yesterday when they actually came out. Seeing the difference a week’s time made was an experience of its own. During my first trip on a cold and windy day with the buds still tightly closed, I found the neighborhood almost deserted. 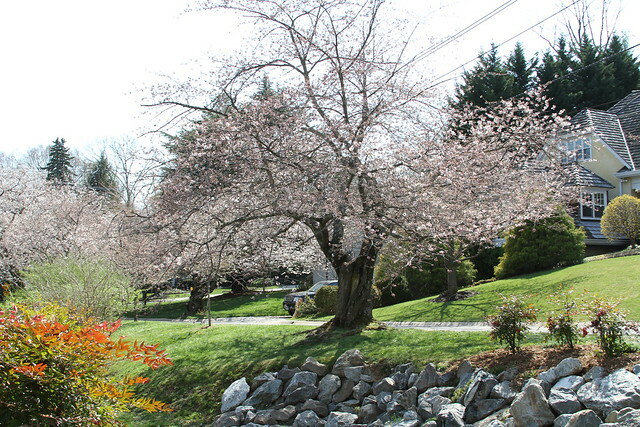 A week later, with temperatures in the 80′s and the blossoms approaching their maximum brilliance, the place was reborn. There were bikers and runners, families and couples, grandparents and grandchildren. There were manicured dogs looking like they had just come from Westminster, and lemonade stands staffed by angelic but hard bargaining six year olds. The enviable custom homes, pretty on any day of the year, took on entirely new levels of desirability. 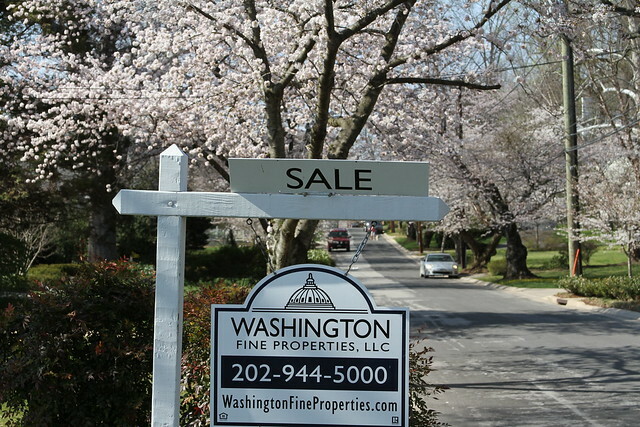 Out of their depth homebuyers slobbering over for sale signs were a common sight. If you want to take in one of Washington’s most unforgettable displays of natural beauty, Kenwood is a great choice. Bring a bike, a blanket, a friend, a girlfriend, a dog, a camera, all of the above, or none of them, and try to make it by this weekend. If you do, I’d venture to guess you’ll be back next year. 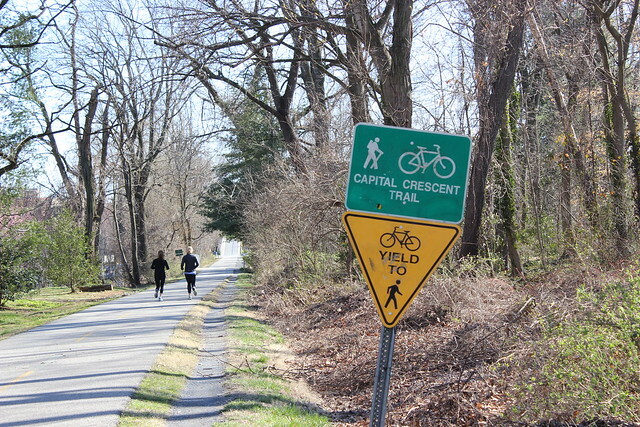 By Metro: The fantastic Capital Crescent trail (which stretched from the Georgetown waterfront to Silver Spring) runs right across Kenwood’s doorstep, crossing the entrance to the neighborhood at Dorset Avenue and Little Falls Parkway. Take the red line to the Bethesda station, and then enter the Capital Crescent trail on Bethesda Avenue next to the Ourisman Honda dealership. The walk from the metro to the neighborhood entrance is a do-able mile and a half. By Bike or Foot: If you’re feeling more adventurous and looking for a workout, you can pick up the Capital Crescent trail at its terminal point right under the Whitehurst Freeway in Georgetown, and bike or run along a scenic 6 mile route staying on the Crescent trail the entire way. By Car: If you’re suffering from the effects of “last Friday night” and have a car, the drive from DC to Kenwood should take between 20 and 40 minutes depending on how northwest you start. Turn into the neighborhood from Little Falls Parkway, River Road, or Bradley Boulevard. This year, I was surprised to notice official “No Parking” signs on many of the streets, but after a little exploring I found a stretch of road that didn’t have the signs on Kenwood Avenue just west of the Brookside Drive circle. While walking around the neighborhood, I noticed a few more bits of pavement where neighborhood residents seemed to be welcoming vehicle encumbered visitors. 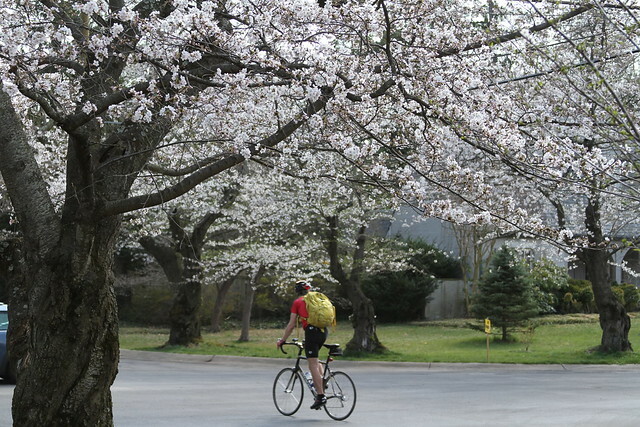 Although an itinerant past took him around the world, Max now writes from his hometown of DC. He began publishing travel stories during a post-graduate year spent teaching English in Bangkok and hasn’t looked back. Max is always looking for the next adventure, whether it’s a backpacking trip to Peru or a visit to the National Arboretum five minutes from his doorstep. He is also a fanatical Washington sports fan, a movie buff and film producer, and an outdoor sports enthusiast. nice article max, and i’d like to go back packing in peru too! great photos! especially like the welcoming homeowners who seem willing to share the splendor. we’ll be heading over there this week for sure. Gorgeous pictures, well written article. 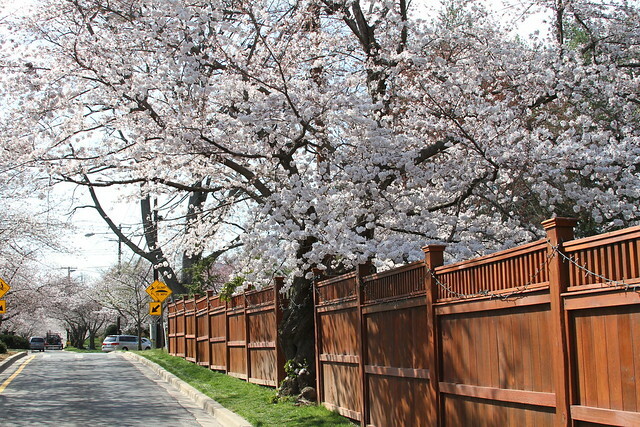 Although an itinerant past took him around the world, Max now writes from his hometown of DC. He began publishing travel stories during a post-graduate year spent teaching English in Bangkok and hasn't looked back. Max is always looking for the next adventure, whether it's a backpacking trip to Peru or a visit to the National Arboretum five minutes from his doorstep. He is also a fanatical Washington sports fan, a movie buff and film producer, and an outdoor sports enthusiast.